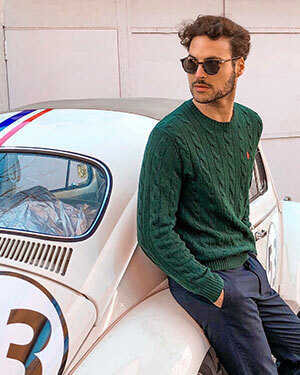 The french brand Diptyque introduced a brand new design for housing its range of fragrances. The designed was made in collaboration with R´Pure Studio. 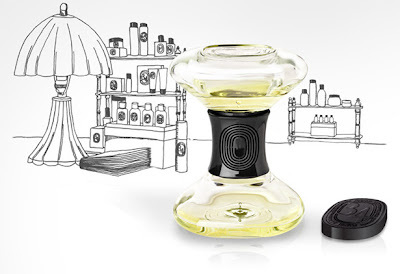 The diffuser comes in the shame of a unique hourglass deemed "LE SABLIER". It works by inverting the glass so that the stored fragrance is able to pass through the joining core and escape through the circle openings in the center. What does not get absorbed by the special core is simply gravity- feed back into the resting chamber (only to be turned over again as the scent fades out). 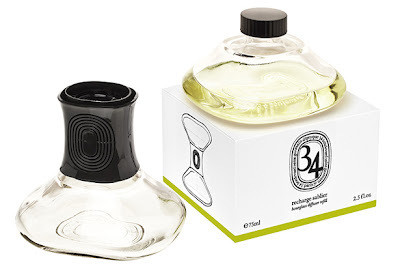 Is coming pre-filled with the brand´s '34 Boulevard Saint Germain' scent. I´m a great fan of Diptyque fragrances and candles, so I´m a bit curious about this new housing. A marca francesa Diptyque lançou recentemente um frasco para armazenar as suas fragrâncias. O design foi feito em colaboração com o R'Pure Studio. O difusor surge agora em forma de ampulheta - "LE SABLIER". Funciona quando se inverte o frasco para a parte cheia, que deixa passar a fragrância para a parte vazia. O que não é usado, tal qual os grãos de areia numa ampulheta, passa para o outro lado. É vendida pré-cheia com o perfume '34 Boulevard Saint Germain'. Sou um grande fã dos perfumes da Diptyque e também das velas, estou curioso em relação a este novo frasco.